On gameday, Clemson fans arrive filled with the anticipation of finally seeing their Tigers play. From the gridiron to the soccer pitch and the baseball diamond, there is no better feeling for a Tiger fan than seeing the field for the first time in months on opening day of the regular season. For supervisor of athletic grounds Mike Echols and his staff, keeping Clemson’s athletic fields in top condition is their ultimate goal. A Charlottesville, Va., native and former student-athlete at Clemson, Echols played golf for the Tigers from 1981-83 under former head coach Bobby Robinson and was a teammate of current head coach Larry Penley, who also became an assistant coach upon graduating. Golf was Echols’ first love, and it was through the game that he found a different way to give back to the game he loved so much. Echols graduated with a degree in agronomy with an emphasis in turf grass management. 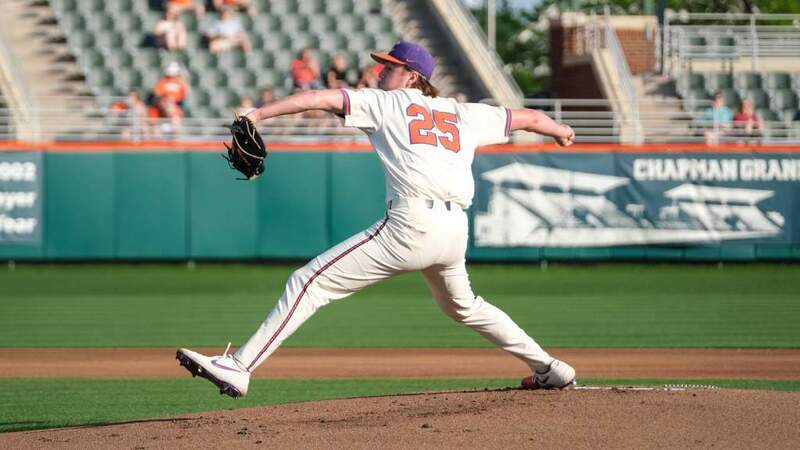 After working in small business for a landscape maintenance firm and owning a landscape contracting firm for a number of years, Clemson came calling with a job opening for field management, and it was an opportunity that Echols did not let slip away. 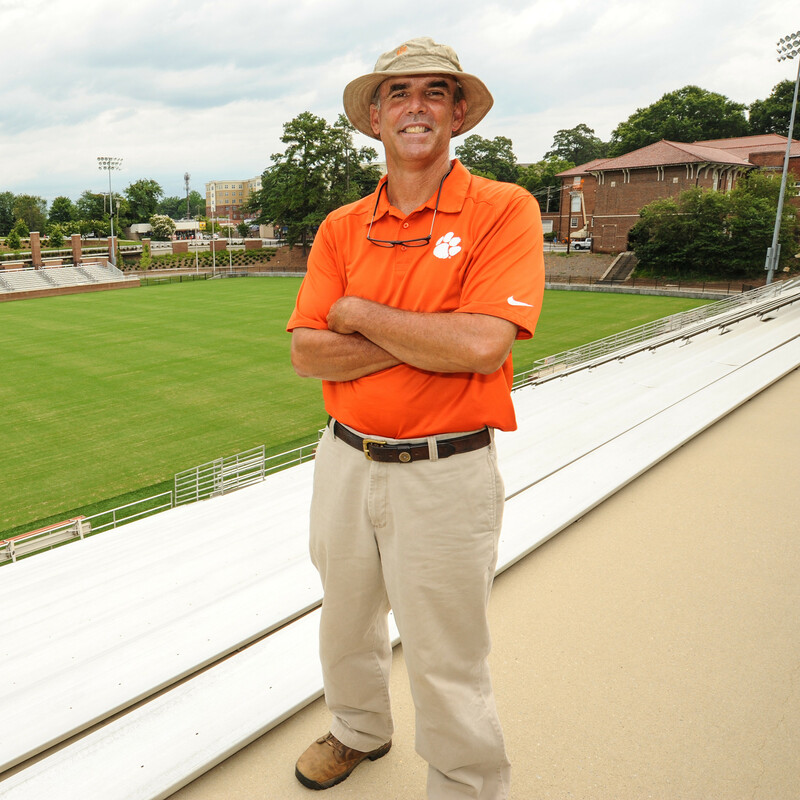 For those 14 seasons, Echols and his staff continue to maintain 80 acres of turf and the landscape areas associated with Clemson athletics. These areas include Historic Riggs Field, Death Valley, Doug Kingsmore Stadium, golf facility, football and soccer practice facilities, the upper and lower intramural fields, rowing center, tennis center and rugby field. 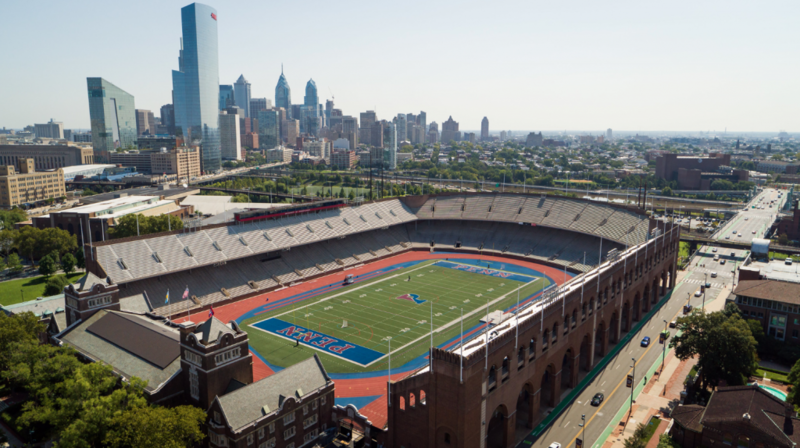 Echols describes the process of maintaining all of these areas as a year-round affair, and that getting the fields to peak at the right time is essential before the season begins. The natural growing process that Echols and his staff use involves mowing, fertility, water management and other cultural processes that ensure the fields are in proper condition for athletic competition. “What you really want to have happen isn’t for the field to peak in July,” stated Echols regarding fall sports like football and soccer. “You really want it to peak in August and September, when it’s going to be played on. But Echols is by no means without a very solid supporting staff. Dubbed, “the best staff in America,” by Echols, he had nothing but praise for his staff, which consists of four full-time employees – Jacob Addison, K.C. Bell, Mark Hendricks and Daniel McKinney. The staff also employs a part-time member, Thomas Latimer, who has worked in athletics for 35 years. “That man is as good as any that there is,” said Echols of Latimer. “We supplement our full-time staff with students, and we’ve been blessed throughout the years to have such a great group of students who come in and help us to create these types of playing surfaces. Just as Echols and his staff put the fields together each and every week and keep them growing, one of the favorite parts of his job is watching other people become successful, whether students he works with or the athletes making plays on the fields he has helped cultivate and maintain all year long. “When I first got this job, I worked with a student named Jonathan Holland,” said Echols. “I had the greatest pleasure of watching Jonathan finish school, work, get married, become a father and grow his business to the point that he now owns Precision Turf. These kinds of connections make the job worth it for Echols, who continues to credit Robinson and Penley for the lasting impact they left on him as a student-athlete. To be able to return to the place where it all began playing the game he loved most is special for Echols, who feels a special connection maintaining the golf facilities that have since been named in honor of the two men who impacted him the most during his time as a student-athlete. “I still remember when my sister and I drove down from Virginia and I met Mr. Robinson at Boscobel Golf Club, back behind the 12th green,” said Echols. “I knew right then and there that he was the man I wanted to play for. “A couple of days after my visit, I got a handwritten letter from him thanking me for coming down. There’s so much parallel between Mr. Robinson and my father. Mr. Robinson was, and is, a tremendous individual who is very sincere and held you accountable, but he’s one of those types of men who supported you, had your back and was a father figure. 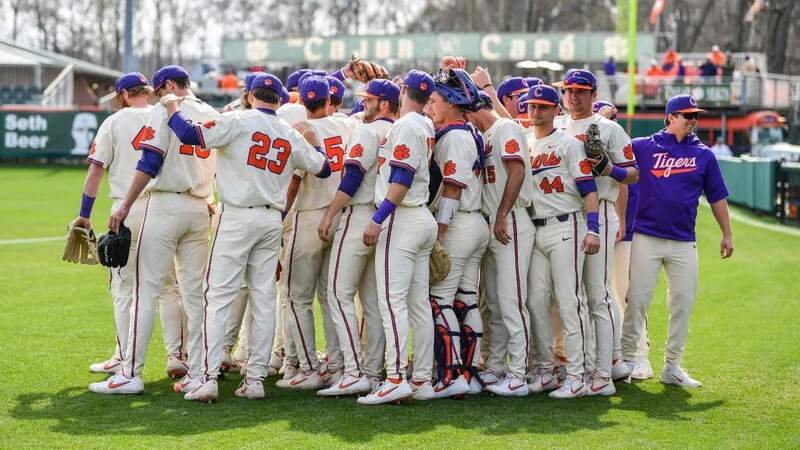 Just as Death Valley, Riggs Field, Doug Kingsmore Stadium and the other athletic venues must be cultivated and developed, so too must be the connections and bonds that people form with one another. Echols has grown and cultivated his own connections into something special that matches the splendor of the beautiful fields he and his staff have put together. They make the thrill of gameday that much more exciting, and being a small part of the athletic process is something Echols will always be proud of.